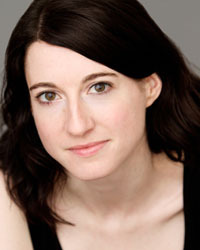 Renata's Seattle credits include: The Scarlet Letter, A Doctor in Spite of Himself (Intiman Theatre); Eurydice, The Female of the Species and Vincent in Brixton (ACT); Hamlet, Pharoah Serket, Jason and the Golden Fleece (Seattle Children's Theatre); The K of D (Pistol Cat Productions) and the Icicle Creek Theatre Festival. Regional: The Cherry Sisters Revisited (Actors Theatre of Louisville and Humana) and a national repertory tour with the Aquila Theatre Company. New York: A Midsummer Night's Dream (New Victory Theater), The Importance of Being Earnest (Baruch Performing Arts Center), The K of D (FringeNYC and Fringe Encores). Graduate of NYU's Tisch School of the Arts. Upcoming projects include The K of D at the Seattle Repertory Theatre.